Love your blog! And your pattern release posts are always killer. 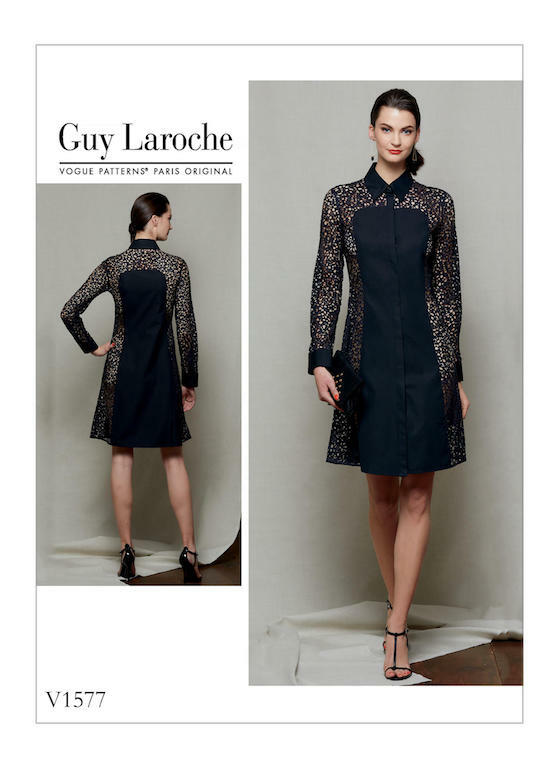 Was also liking that Guy Laroche dress, thanks for the Mccalls tip! I was also confused about V1588 - I was like "Are they re releasing it?". Very very similar. I loved a lot of the patterns in this collection especially the backless stuff. I love your review comments! As a guy, the bathroom conundrum in a backless jumpsuit would never cross my mind (perhaps Rebecca has a male design assistant?). 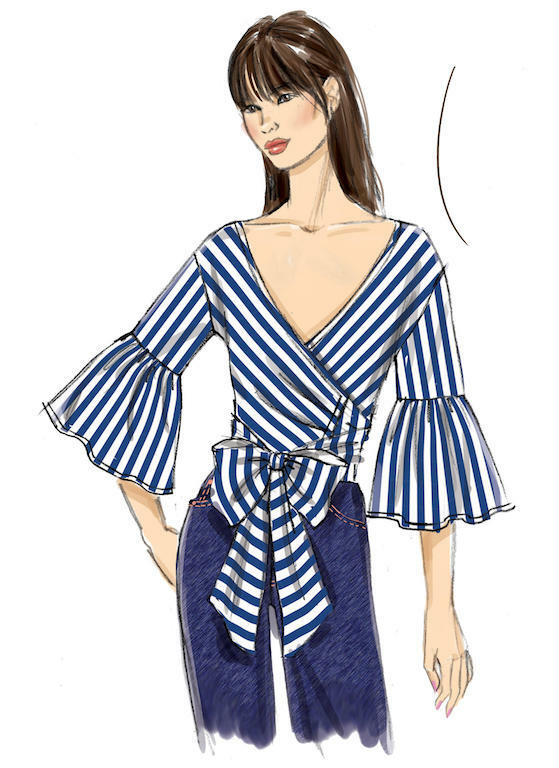 Can't wait for you to sew a Claire Shaeffer pattern (you two share a certain affinity for exquisite design and construction - nuances are never lost on either one of you). 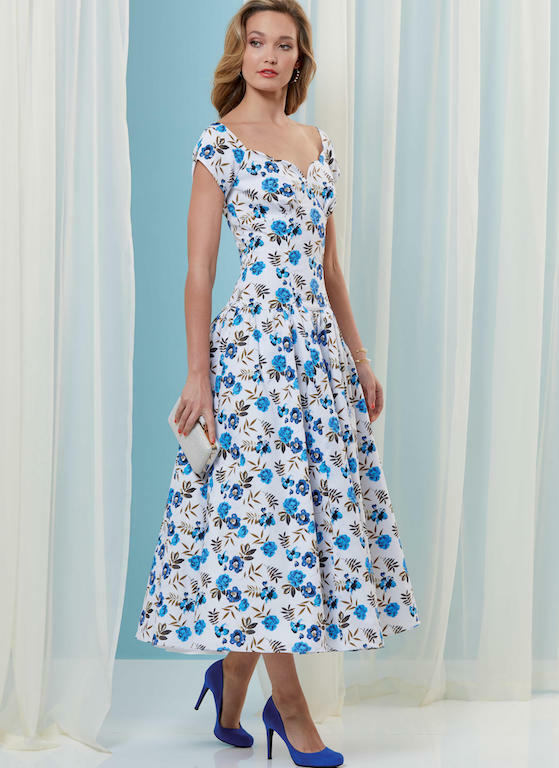 A small floral lilac pattern would be amusingly ironic, or a wistful pastel linen (with matching pumps, please and thank you). Either of those outcomes would be certain to elicit the transcript from yet another overheard conversation (and aren't you overdue for another one of those? Hmmmmmm??). Love the fabric on that sample, but was not over the moon about the design. I think the main thing I don't like is the length of the sleeve/not sleeve. 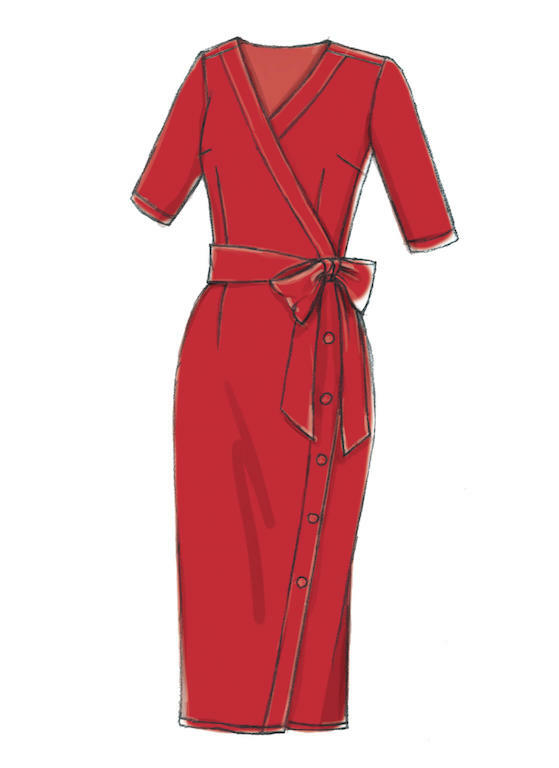 Then again, that's an easy alteration, and it does look like something DKNY would produce. Perhaps I am still mourning the loss of the Donna Karan pattern line?